Bright Infocomp provides a comprehensive range of offshore web and software development services. An iPhone app for your website would propagate the functionality and services you offer on the handy disclose, that is available all time with your target customers in all over the world. The consumption of an iPhone as well as its increasing popularity are absolutely uncountable. Experts predict for further upswing in iPhone's sale. 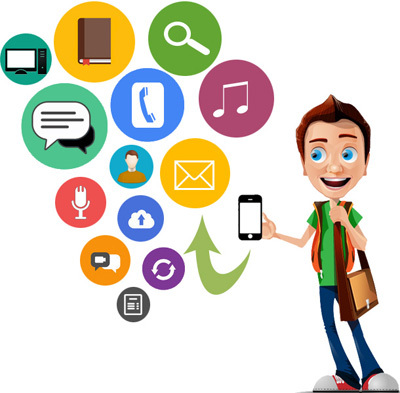 Our company is a leading iPhone application developer with a lineage of successful clients worldwide and skilled iPhone SDK developers develop customized applications for iPhone to effect extra enrichment in its applicability in business, entertainment, education and other day-to-day life. For middleware, key applications & operating system Android software is a pyramid for mobile devices. 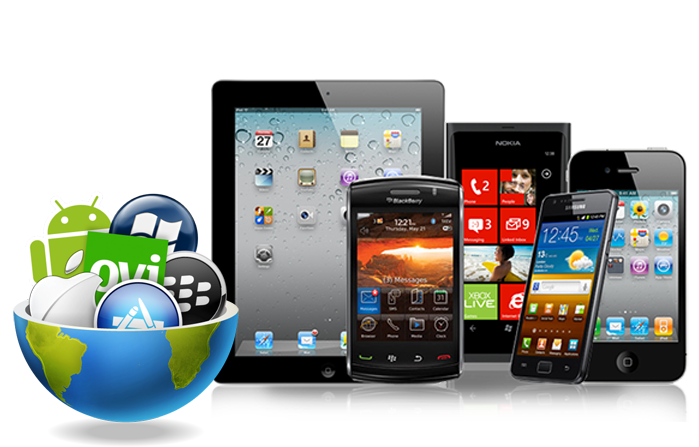 It is a mobile application developed for use on devices powered by Google's Android platform. Some android application are already prepared Android apps are available in the Google Play Store that is also known as android market. In present time android app are the most access able tool for the business & customer because Android application platform opens up unlimited opportunities to be creative and differentiate mobile apps as much you can explore the technical possibilities in the market. In the Google play store there are some android application are free, premium or payable. Windows phone is key features along with the great user experience closes the gap between what the employees/individuals want from a phone and what organizations require of phones that can be used for both personal and business needs. Our window application development team having many years experience so that our team is able to using different-different tools like visual studio, visual studio 2008 and c#. Windows application and its market place offer the developers a great new platform for their software & providing advantages over other mobile markets. 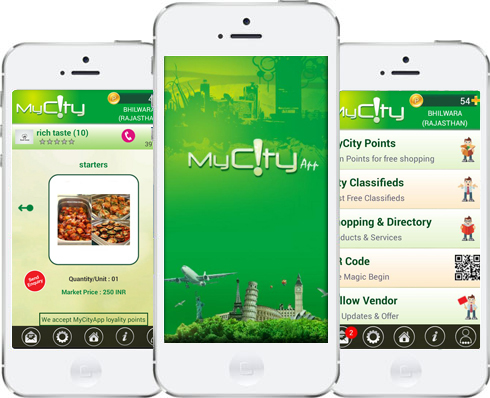 We are here to help you with a fresh idea and a latest approach to grow your business with MyCityApp, an android based application for your smart phones extending your reach to every smart Indians. My City is a loyalty points based business promotional program, you use with your smart phones. User download this app from App store or Google play, the city and the entire market place is on his/her finger tips and is exposed to a wonderful world of infotainment, city news, commercials, product & services, offers,the best deals, rewards, education,communication &the lifestyle. You can get all the information and feedback on City News, Service Providers, Shopping & Hangouts, Viewer's Delight, Communication & many more. 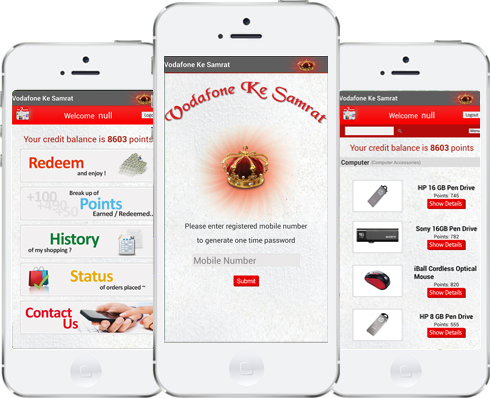 Vodafone Ke Samrat application allows vodafone users to redeem their points against various products. 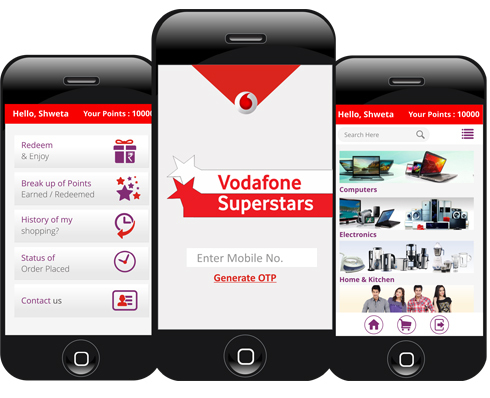 Vodafone Superstars application allows vodafone users to redeem their points against various products. Robustly built on newest development frameworks. Technically excellent & eye-catching mobile app. Create attractive & vibrant web for your business. Innovative logo along eye matching material. © 2014 - Bright Infocomp Pvt. Ltd. All Rights Reserved.